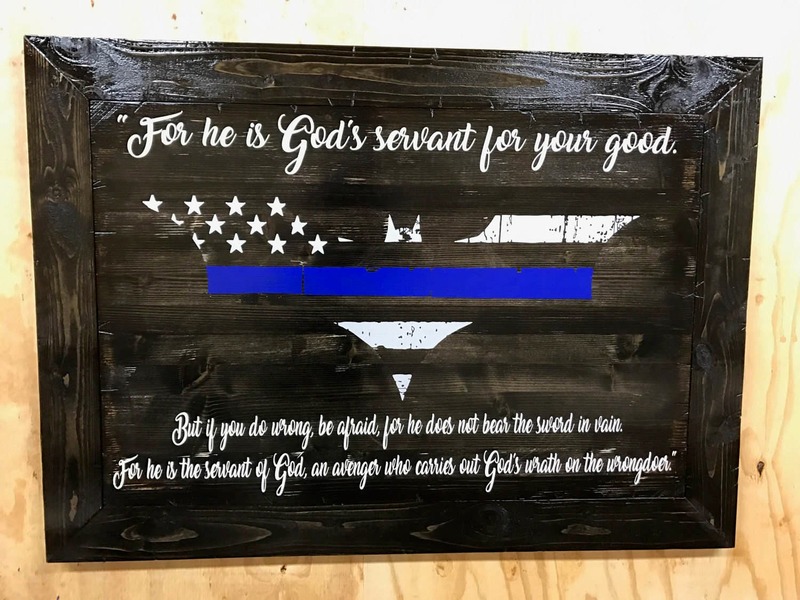 Framed Thin blue line Batman sign! This is painted on a stained ebony board with a distressed finish. It has white lettering for the Romans 13:4 Bible verse and the Batman symbol is blue and silver. This is handmade, and is available in three different sizes: 17"x23", 23"x31", and 31"x43". It has d-rings on the back for easy hanging. The sign is finished with an interior gloss. Ships from Rockport, Texas.